NORFACE – New Opportunities for Research Funding Co-operation Agency in Europe, is a network of 15 national research funding organisations in Europe and Canada, co-operating since beginning of 2004. Richard Alba on diversity and inequality. Click the "More" button to watch our Norface interview. Tim Hatton on on historical migration research. Click the "More" button to watch our Norface interview. Professor Dustmann, Scientific Director of the Norface Migration Programme, comments on the Success of the Programme. To see all Norface Migration Interviews, click the more button. The Norface Research Programme on Migration co-operates with the Centre for Research and Analysis of Migration (CReAM). 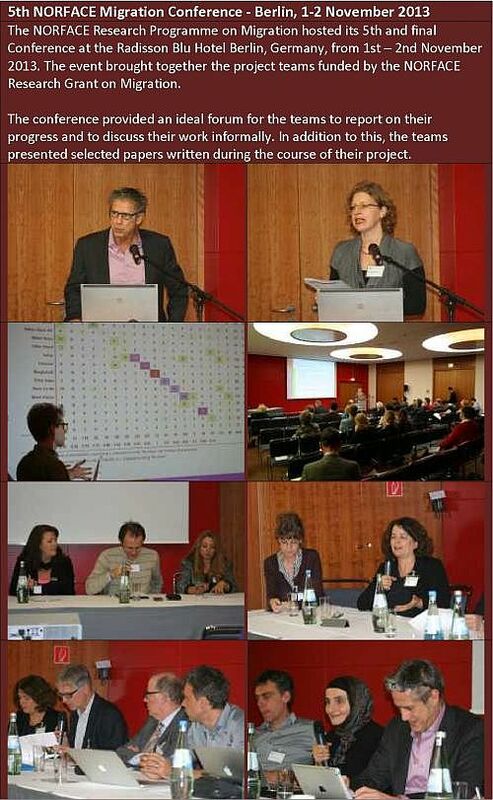 Photos from the 5th Norface Migration Conference in Berlin now available. Project Teams of the Norface Research Programme on Migration are now welcome to submit their discussion papers for publishing online on the Norface Migration Website.